DON’T MISS: “Lost in Space” – Danger, Will Robinson? By now it’s clear: In TV, everything old is new again. And so we have a “modern reimagining” of the campy 1960s science-fiction series. Set 30 years in the future, colonization in space is now a reality, and the Robinson family is among those selected to make a new life for themselves in a better world. But when the colonists are abruptly torn off course en route to their new home they must work together to survive in a dangerous alien environment. Toby Stephens and Molly Parker lead the cast. (Friday, Netflix). SUNDAY: E.M. Forster’s masterpiece “Howard’s End” gets a fresh treatment in a new four-part miniseries about three families living in turn-of-the-century England. Hayley Atwell, Matthew McFayden and Tracey Ullman star. (8 p.m., Starz). SUNDAY: The new thriller “Killing Eve” delivers a twisted game of cat and mouse between two women obsessed with one another. Eve (Sandra Oh) is a bored MI5 security officer languishing in a desk job. Soon, however, she finds herself on a collision course with Villanelle (Jodie Comer), a mercurial killer. (8 p.m., BBC America). MONDAY: In the season finale of “DC’s Legends of Tomorrow,” the Legends’ scheme to vanquish the demonic Mallus doesn’t go as planned, forcing Rip (guest star Arthur Darvill) to improvise. (8 p.m., The CW). TUESDAY: “Elton John: I’m Still Standing – A Grammy Salute” is a concert tribute to the veteran pop star. Among the musicians performing his big hits are Miley Cyrus, Lady Gaga, Miranda Lambert, John Legend, Kesha, Chris Martin, Shawn Mendes, Maren Morris and Ed Sheeran. (9 p.m., CBS). 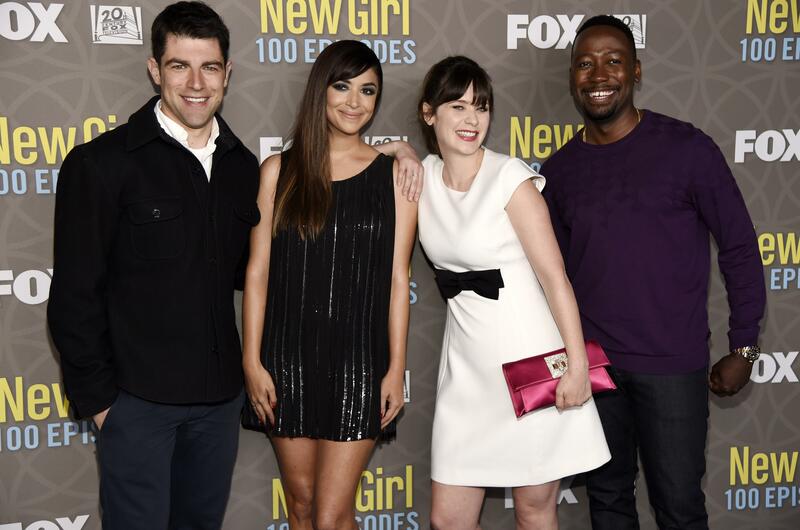 TUESDAY: It’s the beginning of the end for “New Girl,” which launches its final season. Jumping ahead three years, the opener has Schmidt and Cece celebrating their daughter’s birthday with a party, where Jess runs into her ex (Dermot Mulroney). (9:30 p.m., Fox). WEDNESDAY: In the unscripted series “Sell It Like Serhant,” ace realtor Ryan Serhant, who apparently can sell black spots to a Dalmatian, counsels struggling salespeople across multiple industries who are desperate to change their luck. (10 p.m., Bravo). WEDNESDAY: Brace yourself. Season 3 of “The Expanse” whisks viewers 200 years into the future just as war is about to break out between Earth and Mars. (9 p.m., Syfy). THURSDAY: “Ex on the Beach” sounds like a sadistic social experiment. Young singles from shows such as “The Bachelor” and “Big Brother” arrive on a tropical island for what they think is a typical reality dating series. But – psych! – their exes are there, too. (10 p.m., MTV). FRIDAY: Season 4 of “Bosch” puts our favorite Los Angeles detective in charge of a task force investigating the murder of a lawyer who had led a civil-rights trial against the LAPD. He must pursue every lead, even if his own department comes under fire. (Amazon Prime). SATURDAY: “Elvis Presley: The Searcher” is a two-part documentary that spotlights the man and his music. The film follows Presley’s creative journey from his childhood through the final 1976 Jungle Room recording sessions. (8 p.m., HBO).